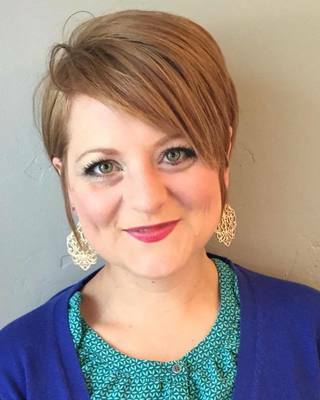 Janelle Stauffer is Licensed Clinical Social Worker in private practice in Nampa, Idaho and a member of the Nampa School Board. She practices as a trauma informed attachment therapist and pulls from psychodynamic, humanistic, & existential theories as well as evidence based modalities including EMDR and EFT. On Thursday, October 6th, Janelle will present on understanding anxiety and depression from an affect regulation standpoint and the neurobiology behind these diagnoses. She will teach how dysregulation leads to anxiety and depression and how to address it in the school setting with respect to achievement and attendance. Participants will leave with practical applications to the classroom and school setting. Janelle will provide the research behind her modalities as well as practical stories of her work in the the field. Currently there is limited parking in the lot directly across from the main entrance on the corner of Hays Street and N. 11th Street. You may also find parking at Boise High School. SSWAI membership meeting on on Friday, October 7th at from 8 am to noon. A light breakfast and 1 additional hour of ethics training will be provided. Membership meeting and ethics facilitated by Robin Allen for SSWAI at Boise High School (Room B3). This conference is free to with pre-registration. Registration on site will be $10 cash/check. If the conference is full, no on-site registration will be available. Cancellation Policy: If you find that you cannot attend the conference, please contact the School Social Workers of Idaho at schoolsocialworkersofidaho@gmail.com as soon as possible so your name can be removed from the registration.